There are number of ways you can lose your CSCS Card. Whether it’s dropping it somewhere along your commute, misplacing it on your worksite or just misplacing it somewhere at home, losing a CSCS Card does happen. Now if this happens then fear not! If you can’t find the card anywhere (can you remember the last place you had it?) then you can always get a replacement CSCS Card. 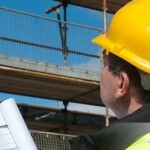 So how do I replace a lost CSCS Card? Great news: getting a duplicate CSCS Card sent out is now easier than ever, thanks to Construction Helpline. If you’ve got a lost CSCS Card, You can get a duplicate card from Construction Helpline. All you have to do is to pick up the phone and give us a call on 0207 199 9800 and tell us your name, what card you had and your National Insurance Number and we will do the rest! The card will be sent out to you and you’ll have a new card in no time. This CSCS card will be valid for the same time as your previous card, and is identical in every way. 1. Keep it within your wallet. Never take it out, unless you need to. 2. Always keep your wallet in a safe and secure place. 3. Be careful about using your wallet (and any of your personal belongings) in public. This can attract muggers and the like. 4. Don’t be careless! A lost CSCS Card can affect you if you need to get on site. At Construction Helpline, we pride ourselves as being the construction industry’s ultimate one-stop shop. Whether it’s replacing a lost CSCS Card, booking a test or even getting some revision material to help you prepare for a test, our team of experienced construction advisers are on hand Monday to Saturday. So give us a call on 0207 199 9800. We’re always happy to help!